Look for our article, "Safe Alternatives to Muriatic Acid" in the coming-very-soon April/May issue of Concrete Contractor magazine (a brand of AC Business Media) to learn more about the benefits of using an organic acid based concrete remover. 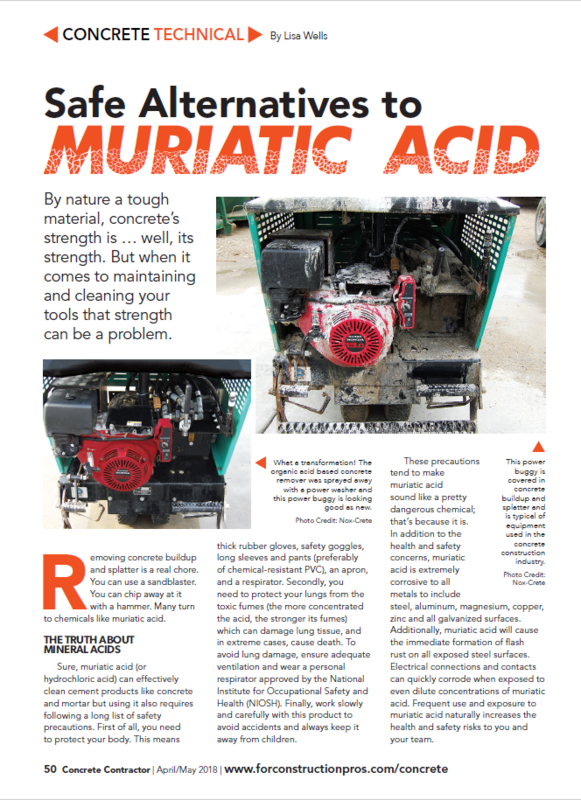 Are you still using muriatic acid to remove concrete buildup from your tools, equipment and machinery? Did you know there's another way that's safer for you and the environment and is even more effective? 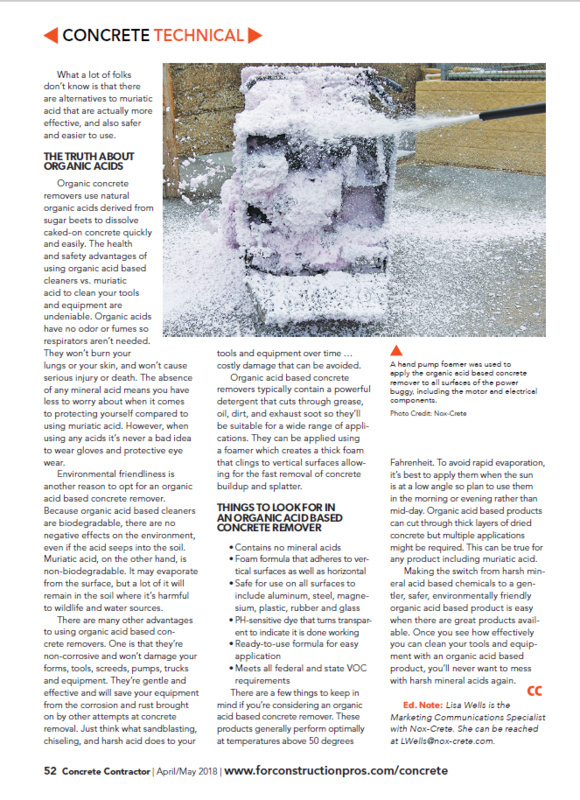 An organic acid based concrete remover like Blast-Off is ideal for safe, effective concrete buildup and splatter removal. 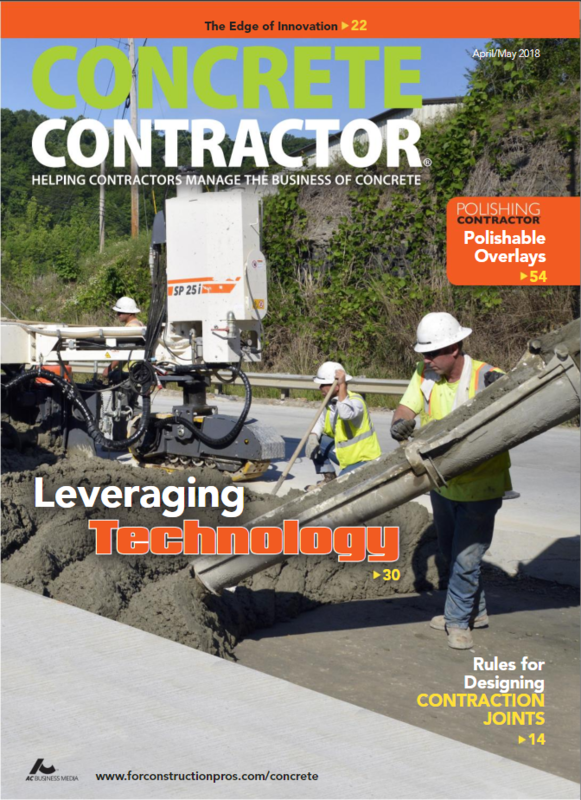 Read the article in Concrete Contractor - coming soon! - for even more information! 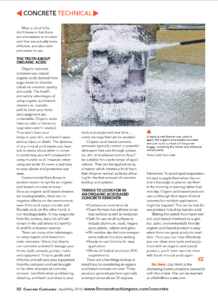 This entry was posted in Nox-Crete Blog, Specialty Chemicals, Uncategorized on April 23, 2018 by Andrea Kemp. The structure, which spans the Dan River, is covered from parapet to deck with more than a decade of graffiti, said Danny Torrence, Lynchburg District bridge maintenance manager for the Virginia Department of Transportation. Everything from favorite four-letter words to satanic messages adorns the structure, and urban legends abound of its use as a site for rituals and other sordid activities. 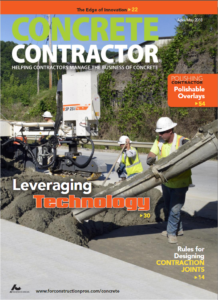 This entry was posted in Project Profile, Specialty Chemicals and tagged DOT, graffiti, graffiti removal, North Carolina, Tag-X, vandalism, vdot, Virginia on July 17, 2014 by Aaron Nussbaum.